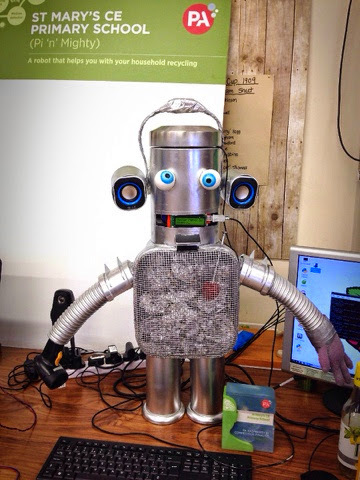 It’s been a busy time for members of the Surrey & Hampshire Hackspace. 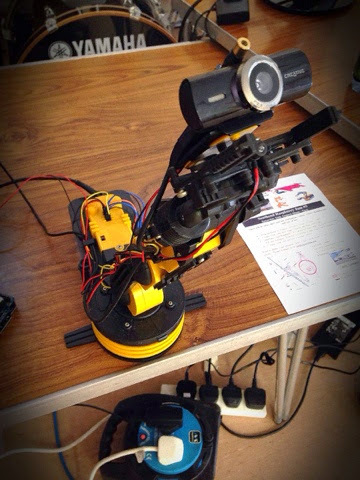 Horsham Raspberry Jam – Just over a week ago a number of our members went along to the first Horsham Raspberry Jam. It was a really great event which you can read about in a G+ post by Winkle Ink. The event was well attended, with a number of people showing off their shiny new Raspberry Pi Model B+ and putting them to use. 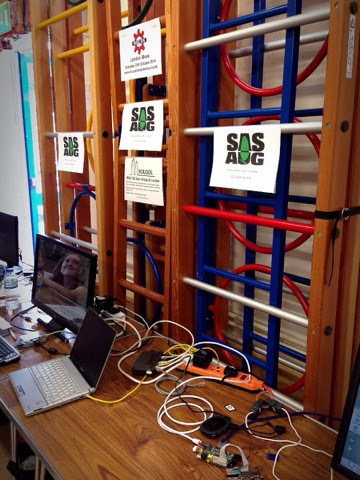 Projects being demonstrated included controlling Scalectrix and Robot Arms, running RiscOS on the Raspberry Pi, using the Raspberry Pi to produce green screen effects, and a barcode scanning robot figure called “Pi ‘n’ Mighty” who could tell you how to recycle food packaging! 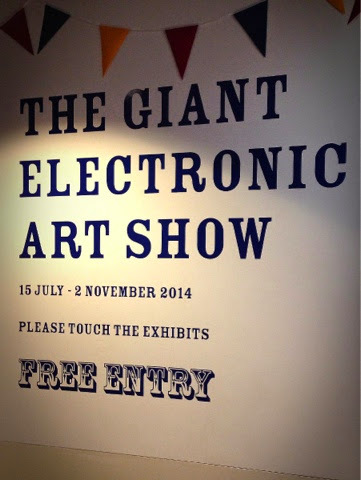 The Giant Electronic Art Show – As previously mentioned we’re displaying some of our members work in the Lightbox in Woking in their playful exhibition The Giant Electronic Art Show. On Friday evening a few of our members were at a special event held by the Lightbox to promote the exhibition and to mark the opening of another exhibition ‘Glamour on the Go. Compacts – The Story of Make-Up’. 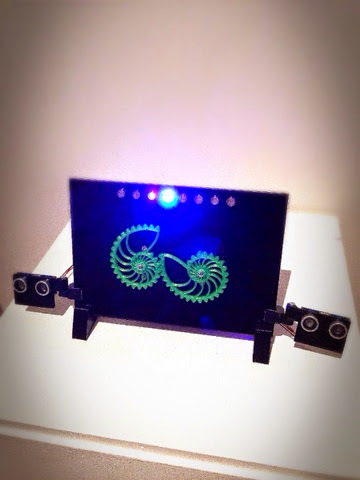 The Giant Electronic Art Show contains a number of mostly interactive exhibits. 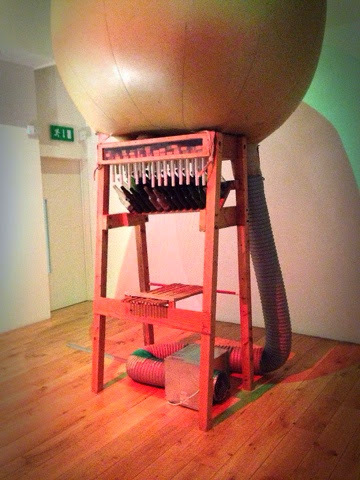 These include the ‘Big Bottle Organ’ by Dan Knight (pictured above), ‘The Noisy Table’ a reactive multimedia table tennis table by Will Nash and engineer Jason Hotchkiss, and ‘Ring Dem Bells’ which was conceived by the late Hugh Davies and rebuilt by Eye Music Trust sound engineer, Matt Saunders.